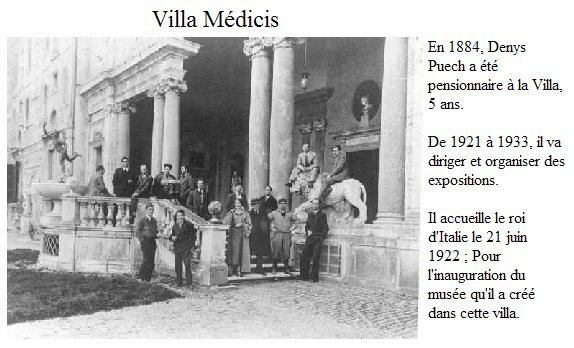 Beginning in 1884, my daughters' Great-Uncle, Denys PUECH (Uncle who raised their late Grandma, Marcelle Clotilde Renée Puech-Arthaud), ... sculptor, winner of the "Prix de Rome" was a student at the Villa Medicis -- for 5 years... Later, he was 2x the director. Claude Debussy (composer / pianist) was there at the same time! P.S. Some years later, Denys received the King of Italy (as the, twice-Director of the Villa Medicis) on 21 June 1922 for the inauguration of the museum that he had founded in the villa. 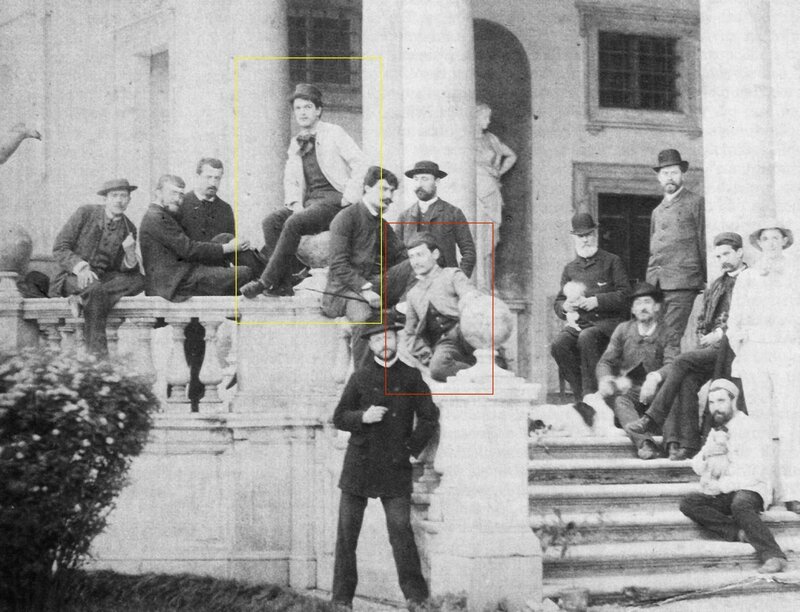 Classical pianist and composer, Claude Debussy at the Villa Medici in Rome 1885 [at center - out-lined in yellow, in the white jacket]. The gentleman [red outline] leaning on the wall, his arm behind the decorative "orb" (ball) ...is Denys Puech! stay at the Villa Medici (at the same time as Denys Puech). There is NO doubt - they HAD to know each other! We must presume that Great-Uncle Denys KNEW Monsieur Debussy !